It is replaced by the Seagull BarTender Enterprise Automation. 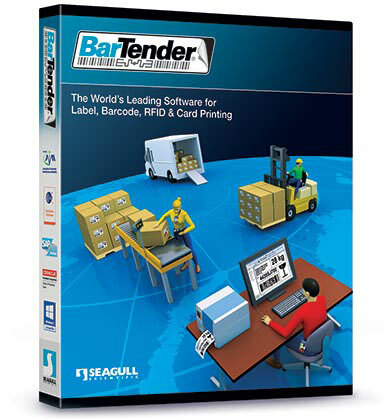 With the release of BarTender Enterprise Print Server, Seagull Scientific has launched Enterprise Print Server, the fifth edition level of BarTender. BarTender Enterprise Print Server is the most powerful edition yet of BarTender. It includes all the features of the Enterprise and RFID Enterprise editions, plus many new features dedicated to centralized printing and advanced integration. It also includes BarTender Web Print Server, an exciting new web application that allows you to browse, select, and print labels from within any web browser running on any platform. Licensed for 5 printers & unlimited users per site. Licensed for 3 printers & unlimited users per site. Licensed for 20 printers & unlimited users per site. Licensed for 15 printers & unlimited users per site. Licensed for 10 printers & unlimited users per site.